Comments: The spice or condiment, allspice, comes from this plant. The white flowers are about 1/4 inch across and borne in many flowered pyramidal cymes originating from the leaf axils. The fruit is a brown berry-like drupe, about a 1/4 inch in length. Has large, evergreen, leathery leaves up to 8 inches long. 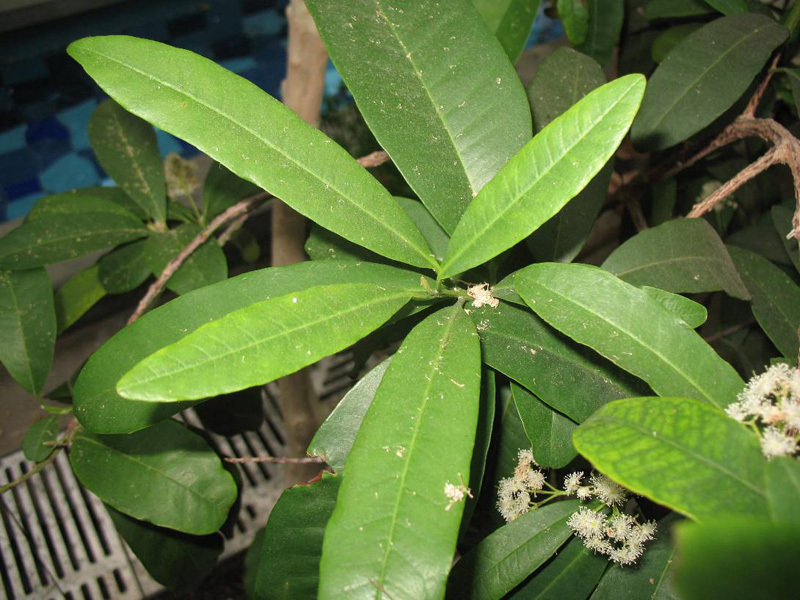 Both leaves and fruit smell like a combination of cloves, black pepper, nutmeg, and cinnamon and thus the plant' name.